Having a little trouble seeing that jarhead (seems like I should know his name,but I don't or have forgotten) letting that ladder stand. I believe that would have been Ira Hayes. And don't forget, as to ladders, all Marines serve under civilian control. You elect 'em, we're duty bound to obey 'em. As it should be, even if at times, seemingly unfortunately so. Right click for spelling, dictionary and wikipedia. I could not post otherwise. 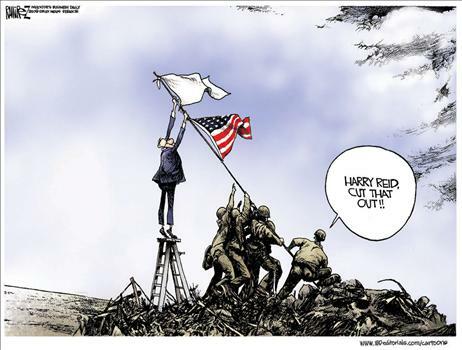 If Harry Reid would have been around in the 1860�s there would not have been the United States of America, there would be the US and the CSA, or worse yet in the 1770�s we would be under England.